Activities and entertainment await you here on the OBX! There are many exciting events to keep you and your party entertained all week long! There is truly something for everyone! Be sure to check out our list for the week and mark your calendars! ~Learn beading basics, including wire wrapping. Bring a special seashell or glass bead piece you’d like to incorporate. Ages 8-15, 10am-12pm, $25. Ages 16-adult, 1-3pm, $35. To register, call (252) 986-6510. Special program with NC Aquarium, Hatteras Library, 11am. 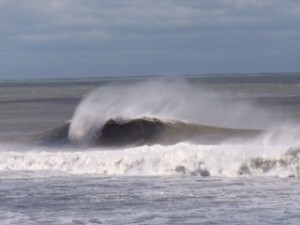 Hatteras Island Surf Film Festival, Kitty Hawk Kites Kiteboarding Resort, Waves, starting at 12pm. ~Live music by Grant Austin Taylor, Quincy Mumford, The Blind Prophets, The Kill Circuit, & SOULone, 12pm-8:30pm. Watch independent surf films and surf films shorts from 8:15-11pm. Don’t miss it! ~Pre register in person at the Hatteras Island Museum. All equipment will be provided. Limited to 20 participants. For more information, call 995-4474. Arts & Crafts Show, Cape Hatteras Secondary School, Buxton, 10-4pm. ~Ages 8-15, 10am-12pm. Ages 16 & up, 1-3pm. For more register, call 986-6510. 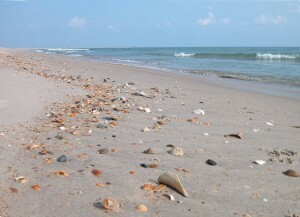 ~Sprint, run, or walk through the tallest sand dunes on the East Coast. Enjoy the full moon with your family on this 1 mile run. Adults will receive a glow-in-the-dark t-shirt and children will receive a medal. Post race snacks, drinks, and other goodies will be available for your enjoyment! American Heroes Day, Chicamacomico Lifesaving Station, Rodanthe, 10am-3pm. ~See personnel, equipment and vehicles of area Coast Guard, law enforcement, firefighters, water rescue, EMS & more. Demos include Coast Guard Honor Guard & Color Guard, Coast Guard Search & Rescue helicopter and motor lifeboat demonstration, military flyer, jet ski ocean rescue demonstration, Beach Apparatus Drill. $5/person. Kid’s Art Class, SeaWorthy Gallery, Hatteras, 10:30am-11:45pm. ~For more information and to register, call 986-6510. Adult Painting Class, SeaWorthy Gallery, Hatteras, 1-3pm. Mojo Collins, REAL Watersports, Waves, 6-10pm. ~All artists welcome! Come enjoy food, drink, & music at this great outdoor venue. Mojo Collins, PapaWack Theatre, Beach Klub, Avon, 7-10pm. Relay for Life, Camp Hatteras, Rodanthe. ~Walk begins at 10am. Meet at the playground. 1 lap=$5, 2 laps=$10, 3 laps=$15. Spaghetti dinner, $8/plate. 11th Annual OBX Sandbar 5k, Kitty Hawk. ~Set on the flat sands in front of the historic “Old Station” public bath house. As if spending your days on the beach aren’t enough, the OBX has many exciting events in store to keep you entertained! We’ve compiled an extensive list for your enjoyment! Check it out! July 14 & 15 Robert Weiner, Surfing Magazine’s Shaper of the Year, REAL Watersports, Waves. ~Come chat with Robert about boards and check out REAL’s selection of Roberts Surfboards. 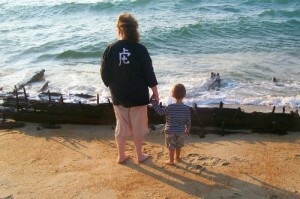 July 14 2nd Saturdays @ the Graveyard of the Atlantic Museum, Hatteras, 10am-4pm. July 14, 21 Fish Fry, Hatteras Village and Avon Village, 5-7pm. July 14-22 LIVE MUSIC featuring local musicians EVERY NIGHT of the week, Atlantic Coast Cafe, Avon, 6-9pm. July 16-20 YOGA on the beach, Beach Klub, Avon, 8-9:30am. July 16-20 Chicamacomico Life-Saving Station Summer Programs, Rodanthe, 2pm. June 16-20 Graveyard of the Atlantic Museum Summer Programs, Hatteras. July 16 & 19 Karaoke, String Wray’s Restaurant, Rodanthe, 9pm. July 16 The Wilders/July 19 Mojo Collins, REAL Watersports, Waves, 6-10pm. July 17 Blackbeard’s Birthday Party, Graveyard of the Atlantic Museum, Hatteras. July 17-19 REAL Watersports Kids Camp, Waves, 10am-4pm. July 17-21 The Lost Colony, Waterside Theatre, Manteo, 8:30pm. July 17 Hatteras Island Farmer’s Market, Avon, 9am-1pm. ~Located in the lot beside Hatteras Realty. July 17 & 19 Balloonacy Children’s Show, COA Auditorium, Manteo, 2pm. July 17 Kitty Hawk Kites Kid’s Day, Avon 10am-12pm, Hatteras, 3-5pm/July 18, Waves 4-6pm. July 17, 18, 20 Music on the Deck, Sandbar & Grille, Buxton, 7-11pm. July 17 Avon Jamboree featuring Ocracoke Jazz Society, PapaWack Theatre, Beach Klub, Avon, 6-8pm. July 18 Teen Night, PapaWack Theatre, Beach Klub, Avon, 8-10pm. July 18 Bluegrass Jam at Banjo Island/Red Drum Pottery, Frisco, 7pm. July 18 Waterhigh, Down Under Restaurant and Lounge, Waves, 8-11pm. July 18 BINGO, Cape Hatteras Anglers Club, 47231 Light Plant Rd, Buxton, 6pm. July 19 & 20 Avon Art Show. ~Featuring over 35 local artists. July 19 YOGA, Hatteras Village Community Center, 5:15-6:30pm. July 19 Alan Ross Karaoke, Sandbar & Grille, Buxton, 10pm-2am. July 20 & 21 REAL Swap Meet, Waves. July 20 Blind Prophets, Beach Klub, Avon, 7-10pm. July 20 LIVE MUSIC every Friday night, Buxton. July 21 & 22 Kitty Hawk Kites Wright Kite Festival, Wright Brothers National Memorial, Kill Devil Hills, 10am-4pm. Break out your vacation planner and pencil a few of these exciting events into your week! There is just so much to do at the beach!!! In addition to your daily adventures of fishing, surfing, kiteboarding, paddleboarding, building sandcastles, scanning the shoreline for shells, or soaking up the sun and a good book, the OBX has something to offer for every age! We’ve compiled an extensive list of activities and events for the week that you will not want to miss! July 7 Summer Festival, Fessenden Center, Buxton, 2-9pm. ~The Hands of Love Organization has organized an afternoon of fun, which will include live music, food, carnival games, crafts, a silent auction, and much more! Rain date set for July 8. July 7, 14 Fish Fry, Hatteras Village and Avon Village, 5-7pm. July 9-13 YOGA on the beach, Beach Klub, Avon, 8-9:30am. July 9-13 Chicamacomico Life-Saving Station Summer Programs, Rodanthe, 2pm. June 9-13 Graveyard of the Atlantic Museum Summer Programs, Hatteras. July 10-14 The Lost Colony, Waterside Theatre, Manteo, 8:30pm. July 9 The Wilders/July 12 Jack Jr., REAL Watersports, Waves, 6-10pm. July 10 Hatteras Island Farmer’s Market, Avon, 9am-1pm. July 10 & 12 Balloonacy Children’s Show, COA Auditorium, Manteo, 2pm. July 10 Kitty Hawk Kites Kid’s Day, Avon 10am-12pm, Hatteras, 3-5pm/July 11, Waves 4-6pm. July 10, 11, 13 Music on the Deck, Sandbar & Grille, Buxton, 7-11pm. July 10 Avon Jamboree, PapaWack Theatre, Beach Klub, Avon, 6-8pm. July 11-14 Hatteras Grand Slam Billfish Tournament, Hatteras Village. ~For more info, click here. July 11 Teen Night, PapaWack Theatre, Beach Klub, Avon, 8-10pm. July 11 Bluegrass Jam at Banjo Island/Red Drum Pottery, Frisco, 7pm. July 11 Waterhigh, Down Under Restaurant and Lounge, Waves, 8-11pm. 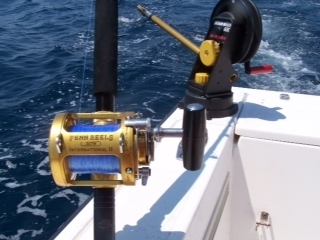 July 11 BINGO, Cape Hatteras Anglers Club, 47231 Light Plant Rd, Buxton, 6pm. July 12 Carey Fest 2012, Rodanthe-Waves-Salvo Community Center, 4-8pm. ~The theme of this year’s celebration is “Giving Back, A Celebration of Community.” Come mingle and enjoy a free barbecue cookout, featuring live bluegrass and blues from Banjo Island. There will also be a silent auction. The Carey LeSieur Foundation is a non-profit, charitable foundation that aims to promote compassion and humanity within the local community by celebrating posthumously the life of nurse practitioner Carey Marie LeSieur and encouraging our community to remember her caring dedication. The primary mission of the foundation is to provide financial assistance in the form of scholarships to students, both college and graduate, who are engaged in a course of study whose ultimate end point will be in a career in healthcare. July 12 YOGA, Hatteras Village Community Center, 5:15-6:30pm. July 12 Jah Creation, PapaWack Theatre, Beach Klub, Avon, 7-10pm. ~Tickets are $7 in advance or $10 at the door. To purchase tickets visit Spa Koru in Avon. July 13 40oz. of Freedom, PapaWack Theatre, Beach Klub, Avon, 7-10pm. ~Tickets are $15 in advance or $20 at the door. To purchase tickets visit Spa Koru in Avon. July 13 LIVE MUSIC every Friday night, Buxton. July 14 2nd Saturdays, Graveyard of the Atlantic Museum, Hatteras Village. How many people can say that they’ve spent their 4th of July on an island? Here, at Surf or Sound Realty, we are thrilled to bring you a day full of events and activities! After spending your day basking in the sun, stroll around the village of your choosing to celebrate the 4th, island style! Be sure to make your way to the Avon Pier starting at 9-9:30pm for an amazing fireworks display! ~Food, fun, and festivities for all ages, from 3-8pm on the Hatteras Realty grounds. Inflatables, a rock climbing wall, hot dogs, bbq, ice cream, and more! Followed by fireworks @ the Avon Pier! Avon Pier fireworks, starting at 9-9:30pm. ~Limited parking will be available at the Pier and at Koru Village, however walking or riding a bike is suggested. Porta-Potties will be located between the Post Office and Hatteras Realty. Pickle Mamas, PapaWack Theatre, Beach Klub, Avon, 6-10pm. ~Live music and excellent NC BBQ with all the fixings will be served. Tickets are $18 for adults and $10 for children. Freedom Fest, Cape Hatteras Secondary School, Hwy, 12, Buxton. ~The fun begins at 5pm with an outdoor pig pickin’, followed by a concert by Sidewalk Prophets at 7pm. In keeping with the theme of freedom, food (while supplies last), fun, and music will be free! There will door prizes awarded, as well as face painting and balloon animals for children from 5-6:30. 3rd Annual “4th in the Village” celebration, Hatteras, 3-11pm. ~Sponsored by the Hatteras Village Civic Association and the Hatteras Island Cancer Foundation, this festive event will include food, music, art, and games! There will also be a band from 7-11pm. 9th Annual Independence Day celebration, Rodanthe-Waves-Salvo Community Building, 2pm. ~Community members and visitors will join together to sing patriotic songs and hear a reading of the Declaration of Independence. A watermelon feast will follow. Sponsored by the villages’ civic association. OBX Killer Dunes 2 Mile Run/Walk, Jockey’s Ridge State Park, Nags Head. ~The largest state park in NC and the largest moving sand dunes on the East Coast! There will also be a 1/4 mile fun run. For more info, check out the event website. Have a safe and happy 4th of July! See you @ the Avon Pier! June 30, July 7 Fish Fry, Hatteras Village and Avon Village, 5-7pm. July 2-6 YOGA on the beach, Beach Klub, Avon, 8-9:30am. July 2-6 Chicamacomico Life-Saving Station Summer Programs, Rodanthe, 2pm. June 2-6 Graveyard of the Atlantic Museum Summer Programs, Hatteras. July 2-7 The Lost Colony, Waterside Theatre, Manteo, 8:30pm. July 2 The Wilders/July 5 Mojo Collins, REAL Watersports, Waves, 6-10pm. July 3 & 5 Balloonacy Children’s Show, COA Auditorium, Manteo, 2pm. July 3-6 Studio 12, Avon. July 3 Kitty Hawk Kites Kid’s Day, Avon 10am-12pm, Hatteras, 3-5pm/July 4, Waves 4-6pm. July 3, 4, 6 Music on the Deck, Sandbar & Grille, Buxton, 7-11pm. July 3 Night with John Parr, PapaWack Theatre, Beach Klub, Avon, 7-10pm. ~Tickets are $10 in advance. For more info, contact Koru Village. July 3 Cape Hatteras Lighthouse Full Moon Tour, Buxton. ~There will be two tours, 8:30 and 9:30pm. Each tour is limitied to 30 people. You will be using handheld flashlights to climb the 257-stair staircase while park rangers provide stories of the arduous duties of the lighthouse keeper. Call 252-473-2111 for details. July 4 Bluegrass Jam at Banjo Island/Red Drum Pottery, Frisco, 7pm. July 4 Waterhigh, Down Under Restaurant and Lounge, Waves, 8-11pm. 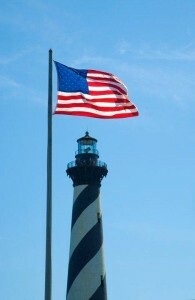 July 4 BINGO, Cape Hatteras Anglers Club, 47231 Light Plant Rd, Buxton, 6pm. ~Food, fun, and festivities for all ages, from 3-8pm on the Hatteras Realty grounds. Inflatables, a rock climbing wall, hot dogs, bbq, ice cream, and more! Followed by fireworks @ the Avon Pier. ~Sponsored by the Hatteras Village Civic Association and the Hatteras Island Cancer Foundation, this event will include food, music, art, and games. There will also be a band from 7-11pm. July 5 YOGA, Hatteras Village Community Center, 5:15-6:30pm. July 6,7 Independence Day Art Show, Indian Town Gallery, Frisco, 10am-5pm. July 6 Molasses Creek, PapaWack Theatre, Beach Klub, Avon, 7-10pm. July 6 LIVE MUSIC every Friday night, Buxton. 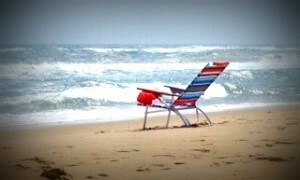 Enjoy EVERYTHING the OBX has to offer! Mark your calendars! There is so much to do here on the OBX! If you’re wondering how you’ll spend your time once you come off the beach, check out the list of events we’ve compiled for your enjoyment! Mark your calendars! There are some events you will not want to miss! June 23 & 29 Watercolor class with Vicky Lowe, Indian Town Gallery, Frisco, 10:30am. June 23 & 30 Fish Fry, Hatteras Village and Avon Village, 5-7pm. June 25 Inaugural Sunset Spectacular 5k and Luau, Jennette’s Pier, Nags Head. ~Run the sands of the out and back 5k course and finish with a post race luau. Specifically designed trophies for top 3 males and females. Unique finisher medal to all participants. For more info contact, outerbanksruncations@gmail or click here to register. June 25-29 YOGA on the beach, Beach Klub, Avon, 8-9:30am. June 25-29 Chicamacomico Life-Saving Station Summer Programs, Rodanthe, 2pm. June 25-29 Graveyard of the Atlantic Museum Summer Programs, Hatteras. June 25-29 The Lost Colony, Waterside Theatre, Manteo, 8:30pm. June 25 The Wilders/June 28 Jack Jr., REAL Watersports, Waves, 6-10pm. June 26-29 Studio 12, Avon. 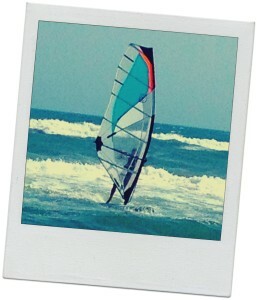 June 26 Kitty Hawk Kites Kid’s Day, Avon 10am-12pm, Hatteras, 3-5pm/June 27, Waves 4-6pm. June 26-28 East Carolina presents Seven in One Blow Children’s Show, Festival Park, Manteo, 10:30am. ~Indoor theatre. This show is based on a contemporary fantasy based on the old Grimm brothers’ fairy tale. Tickets are $5 for all children 6 and over and can be purchased in advance at the Vistiors Center or the day of the event. June 26 Hurley “Rip My Shred Stick” Surf Contest, Jennette’s Pier, Nags Head. ~Free surf contest for children ages 16 and under. Attendees will have a chance to meet and surf with professional surfers. Check out Hurley’s website for more info. June 26, 27, 29 Music on the Deck, Sandbar & Grille, Buxton, 7-11pm. June 26 Avon Jamboree featuring Ocracoke Jazz Society 6-10pm/June 27 Teen Night with DJ 8-10pm, PapaWack Theatre, Beach Klub, Avon. ~For more info, contact Koru Village. June 27-30 Outer Banks Sand Sculptor Festival, Kitty Hawk. ~Watch a professional sand sculpture company create an amazing sand creation. Sand clinics will also be held, as well as a sandcastle competition. There will be lots of fun events and entertainment throughout the festival at Kitty Hawk Kites. Benefit event for the prevention of skin cancer with all proceeds going to the Outer Banks Hospital. Check out the schedule of events. June 27 Creating jewelry with found objects with Chris Cantwell, Indian Town Gallery, Frisco, 5pm. June 27 Bluegrass Jam at Banjo Island/Red Drum Pottery, Frisco, 7pm. June 27 Highwater, Down Under Restaurant and Lounge, Waves, 8-11pm. June 27 BINGO, Cape Hatteras Anglers Club, 47231 Light Plant Rd, Buxton, 6pm. June 28 Avon Art Show, next to Hatteras Realty office, Avon. ~Enjoy of day of browsing and shopping local artists’ wares and take home a plate of fried locally caught fish, starting at 5pm. June 28 & 29 Small Fry Fishing Tournament, Manteo. ~Two categories for children ages 3-8 and 9-15. Entry fee is nominal and includes a t-shirt and lunch. Trophies will be presented in each category for the largest fish caught. For more info call 800-367-4728. June 28 Paint a silk scarf with April Trueblood, Indian Town Gallery, Frisco, 3pm. June 28 YOGA, Hatteras Village Community Center, 5:15-6:30pm. June 28 Hurrah Players perform Anchors Away, PapaWack Theatre, Beach Klub, Avon, 7-10pm. June 29 LIVE MUSIC every Friday night, Buxton. Hope to see you out and about on the OBX! Enjoy your week! AHOY MATEY! The Graveyard of the Atlantic Museum in Hatteras is offering a plethora of weekly summer programs and activities for all ages! It would be a pity to miss out on this amazing opportunity to explore and discover more about our maritime heritage. -For ages 8-12. Children will receive a certificate of rank and 1st mate’s wristband by doing a Museum search and attending two programs, or doing a Museum search, attending one program, and completing one written activity. -These shows include information about the U-85, Chicamacomico, the Alligator, the Battle of the Atlantic and more! -A speaker’s series on the people and events that shape our island’s history. -Talks and demonstrations related to or island’s heritage. -Visit with a local decoy maker, Sam Green, as he demonstrates the art of creating various decoys. -Come down to the Museum on the 2nd Saturday of the month and see what it’s all about! Well shiver me timbers! I think the Graveyard of the Atlantic Museum is the place to be this summer! The Museum is open Monday-Saturday from 10am until 4pm. 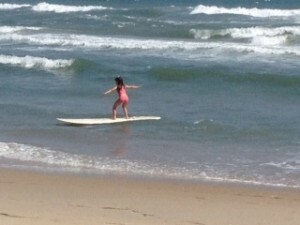 What is there to do on the OBX besides spending time on the water with sand between your toes? Although the Atlantic Ocean and our beaches are the main attraction, the OBX has a calendar full of events for all ages to enjoy! June 16 & 23 Fish Fry, Hatteras Village and Avon Village, 5-7pm. June 18-22 YOGA on the beach, Beach Klub, Avon, 8-9:30am. June 18-22 Chicamacomico Life-Saving Station Summer Programs, Rodanthe, 2pm. June 18-23 Graveyard of the Atlantic Museum Summer Programs, Hatteras. June 18 The Wilders/June 21 Mojo Collins, REAL Watersports, Waves, 6-10pm. June 19 Kitty Hawk Kites Kid’s Day, Avon 10am-12pm, Hatteras, 3-5pm/June 20, Waves 4-6pm. June 19, 20, 22 Music on the Deck, Sandbar & Grille, Buxton, 7-11pm. June 19 Avon Jamboree featuring the house band 6-10pm/June 20 Teen Night with DJ 8-10pm, PapaWack Theatre, Beach Klub, Avon. June 20 Bluegrass Jam at Banjo Island/Red Drum Pottery, Frisco, 7pm. June 20 Highwater, Down Under Restaurant and Lounge, Waves, 8-11pm. 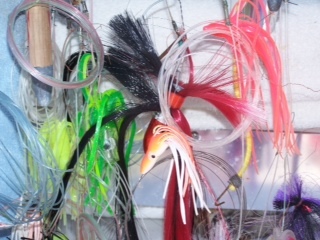 June 20 BINGO, Cape Hatteras Anglers Club, 47231 Light Plant Rd, Buxton, 6pm. June 21 Wire wrap seaglass class with Betty Kungle, Indian Town Gallery, mp 65, Frisco, 10am. June 21 YOGA, Hatteras Village Community Center, 5:15-6:30pm. June 21 Jamie & Mark, Cafe Pamlico, Buxton, 7-10pm. ~Enjoy good food, good music, and an unforgettable sunset! June 22 Oil painting class with Lena Ennis, Indian Town Gallery, mp 65, Frisco. June 22 The Blind Prophets, PapaWack Theatre, Beach Klub, Avon, 7-10pm. June 22 LIVE MUSIC every Friday night, Buxton. We hope you’ll make plans to attend a few of these events during your stay on Hatteras Island! We look forward to seeing you! Enjoy your week! Let’s all join together and celebrate World Ocean Day on Friday, June 8th, right here on Cape Hatteras National Seashore! First recognized in 2008 by the United Nations, World Ocean Day has been designated as a special day for people around the globe to celebrate the abundance of ocean resources. A day of recognizing, exploring, and appreciating our ocean’s resources will be underway on June 8th! ~A free, ranger-led walk on our beaches to explore the everchanging shoreline and the plants and animals that call the seashore their home. Meet in the parking lot next to the Ocracoke campground. ~Free, fun, interactive activities for kids to learn about this amazing creature who uses the shores of Cape Hatteras National Seashore as its nursery grounds. Meet @ the Hatteras Island Visitor Center Pavilion. ~An opportunity to learn about the rich history of the Park’s lighthouses and find out what is in store for those majestic structures! Meet @ the Bodie Island Visitor Center. Remember knowledge is power! Let’s all pay homage to the world’s oceans by participating in an activity that supports these powerful bodies of water!